Popular dermatologist and High School Reunion Diet author Dr. David Colbert advises patients that simple foods replenish skin in a way that no cosmetic dermatology procedure quite can. And certain skin “issues” (wrinkles, spots, aging) respond brilliantly to special, target nutrients. All you have to do is learn their sources, and make a point of eating them in whole foods. Say what? What’s silica? Good thing you asked, because both your sunny complexion and your shiny hair rely on the answer—and on your getting enough of this essential trace mineral. For one, it will help your skin and hair retain moisture, and this means an end to split ends as well as to dull, dehydrated skin. Silica also strengthens connective tissue—including muscles, ligaments, bone, nails, cartilage—and a deficiency might show up as lack of elasticity in the skin and compromised wound healing capabilities. Good sources of silica include whole oats and brown rice, asparagus, green beans, lettuce, celery, cucumbers, potatoes, onions, leeks, strawberries, rhubarb, mango and sunflower seeds. Zinc is good for your skin not just because it helps control the production of oil (and thus helps you stay clear of acne), but also because, as a mineral that we need in order to synthesize collagen, it is key to proper wound healing, the skin’s precious self-repair mechanism. Zinc helps Vitamin A (another Skin Rule!) travel more efficiently from the liver to the skin. And studies are being conducted on the effectiveness of zinc treatment on a range of skin conditions from contact dermatitis to sunburn. Besides being key to skin health, zinc helps us maintain healthy eyesight and normal sense of smell, and assists mightily in proper immune system function. It’s even said to shorten the duration of the common cold. Among its many benefits, it is linked to prostate health in men. Great sources of zinc include fresh oysters, red meat and poultry, eggs, liver, whole grains, pumpkin, sesame, sunflower and watermelon seeds, pecans, cashews, and peanuts. Watch here for more of Dr. Colbert’s Skin Rules! In your previous High School Reunion Skin lesson ( http://www.highschoolreuniondiet.com/2011/01/high-school-reunion-skin/ ) you learned four key nutrients that, when taken in whole foods, naturally renew and beautify the skin. (If you didn’t learn, or don’t remember, go back to PART I and do your homework until you do.) Your main assignment here is to understand that medical research now proves that certain nutrients have a very special influence on the skin, and when consumed regularly will help it stay healthy and appear young. The next step of course is to know those nutrients, and to know the best food sources for them, and then to make a point of consistently eating those foods. So to add to the original four ‘rules’, here are two more…. Too obvious? Well, then add that tried and true wisdom to this: together with the two super-skin vitamins we already learned in Part I, this trilogy represents the most potent skin renewal combo on earth. Vitamin C is an absolute goldmine, offering the richest free rad protection you can get, and its best source is food, not the supplements. How easy is this? Eat red and green bell peppers, guava, broccoli, kale, parsley, collard greens, turnips. Pick your faves and eat daily. This level of C helps protect collagen and elastin, the important fibers in your skin’s structure, and so helps prevent wrinkles. And as we learned in the High School Reunion Diet, a C Ester daily, in addition to plenty of C rich foods, makes for a perfect, and low-cost, skinsurance policy. It’s a mineral. And in addition to providing good solid free rad protection, it plays a key role in maintaining tissue elasticity. And that quality, of course, makes for young-looking skin. 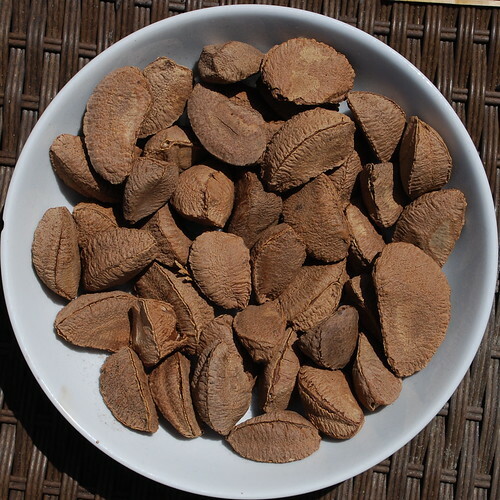 As a bonus, selenium is known to help prevent skin cancer, because it can help protect the skin against ultraviolet light. Great dietary sources of selenium include seafood such as tuna and salmon, wheat germ, garlic, eggs, brown rice, brazil nuts and whole-wheat bread. Make a point of incorporating these into your daily diet and watch your skin—literally—bounce back! Check back here for the next High School Reunion Skin rules!!! Kale is a close relative of the Brussels sprout and a bonafide superfood. The green cabbage-like veggie is loaded with nutrients and vitamins. Check out all the Virtues of Kale on a fellow nutrition blog. As we learned in The High School Reunion Diet, Carbs aren’t all bad for you. It’s a matter of knowing the smart ones from the dumb ones. While the marketing terms of the packagers may take some decoding, ‘whole grain’ means smart carbs. When reading a nutrition label for carbohydrates, be sure to read carefully, because the wording can be tricky. For example, “Made with whole grains” is a different thing from “100% Whole Grain.” We don’t know just how much “made with’ really indicates. It could be 2%, or it could be 92%. There’s no way to know. To be sure, flip over the box and check the list of ingredients. Whole grains should appear at the top, and be referred to as “whole.” Stay away from refined flours and even ‘multi-grains’ unless they’re listed as whole. Your body will appreciate that whole grains offer sustained energy, while refined grains–often with added sugars that extend shelf life (i.e. white bread)– spike your blood sugar and then crash it, leading to a dangerous instability that can cause diabetes and other serious medical conditions. 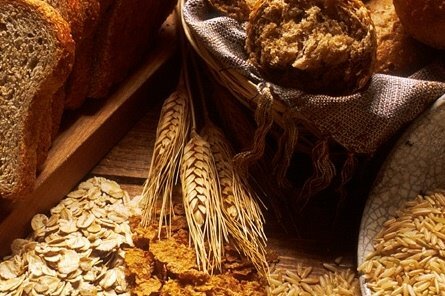 For a list of common grains and what they do for your body check out this article on GirlHabits.